The view across the bay from Homer. We had to spend the first night in town due to high winds making it hazardous for small craft to cross. 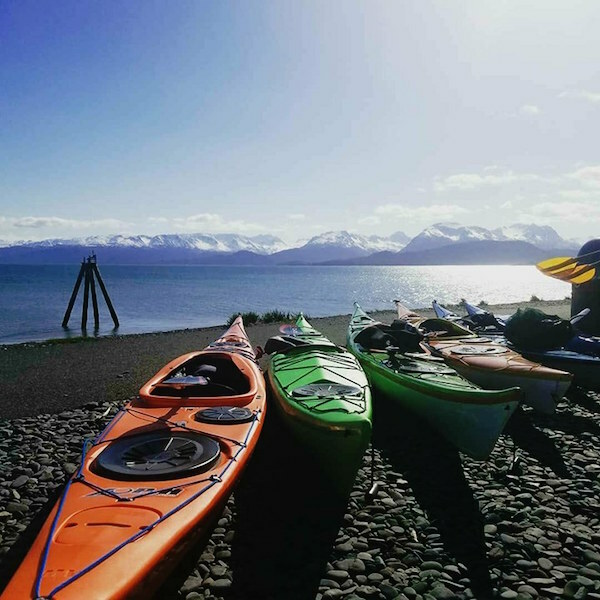 Our kayaks parked and soaking up some sun in Homer. Ready to hit the water for some fun rescue and paddle practice! We brought a lot of stuff for base camping. Kayaks and paddle gear, food, and camp set up all adds up quickly. This may sound like we spent all of our time working while on this trip, but rest assured, we are all guides and are masters of turning our work into play. We got plenty of time to practice the techniques we were learning by putting on our dry suits and getting in the water for some fun, albeit cold (~ 45°F water) rescue practices. We started off our trip with a bit of wind hitting our beach in Kachemak Bay which led to a fun start of performing solo cowboy style rescues in the 2-3ft surf breaking by the beach. That was a great way to get reacquainted with our balance, as it was for many of us, our first times back in the kayaks since last fall. I’m sure it was quite a hilarious scene to watch. After a few struggling tries, we all regained our balance and got back into our boats. It’s officially paddling season again, and after that start, we were all ready to take on our next challenges of the course and of the season. What a great feeling to work for a place that values the furthering of their guides training and knowledge. 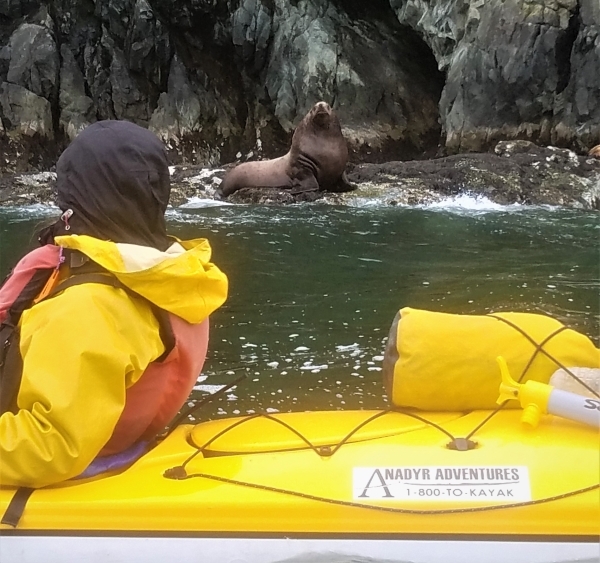 We are, by definition, naturalist kayak guides, which mean we are trained and equipped with the skills to lead and teach about kayaking and also about the intricacies of the areas we paddle in. We all push each other to continue learning about this wonderful place we call home on the edge of Prince William Sound. When it comes to the natural world, there is certainly no lack of learning material in this spectacular part of the globe. We hope to see you this upcoming summer season and share our home with you.